Last weekend, I went to Shenandoah National Park, which is located along Skyline Drive in Virginia. It is absolutely beautiful, with breathtaking views, wildlife, and at times the feeling of being wild and free. Shenandoah National Park isn't exactly nearby, which makes it a nice little mini getaway for folks in the DC Area. The original plan was to get a group of friends together for an all-day hike, but that plan fell through. Everyone changed their plans, or didn't feel up to being outdoors in the cool weather. It was all good, though. It made for a quick little adventure date for my boyfriend and I. First things first: Before you head out on your adventure, check the weather. Is it supposed to snow? Did it rain the days prior to your trip? Will it be windy? While weather predictions aren't always 100% accurate, they do provide pretty good guidance. Knowing these things is important, as it will help determine what kind of conditions you can expect the day of your hike. If it rained the day before your adventure, it means that rockier areas may be slippery, or that areas could be muddy. You'll definitely want to make sure that you have the right shoes for handling such terrain. The shoes you wear to hike are extremely important. I just picked up these awesome hiking boots from Columbia a few days before my trip. They're the Columbia Women's Newton Ridge Plus Hiking Boot, and they're WATERPROOF! I also happen to think they're cute, which is kind of difficult to achieve with hiking boots. 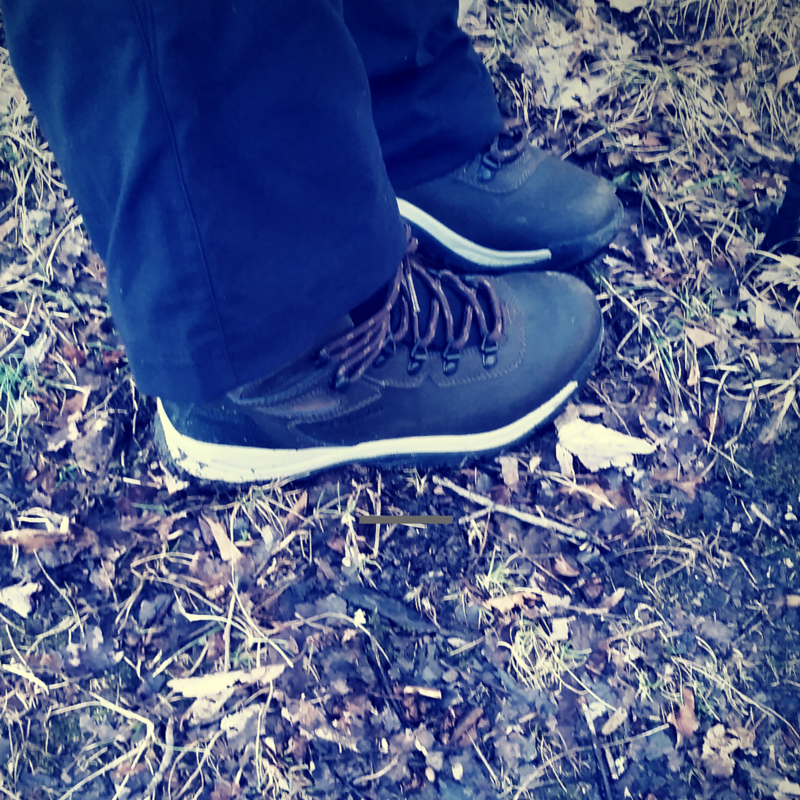 You want your hiking boots to stay dry, keep you warm, and provide enough support for hiking longer distances. I didn't break my boots in before our hike, because I read that these boots are comfortable and don't necessarily need breaking in. I'm also not one to really break shoes in (ain't nobody got time fo dat), but if you're the type who prefers to, I suggest doing so before going on a long hike in the winter. Fortunately, I didn't really have any issues with the shoes (except that I was lazy and didn't do the best job lacing them up before we started), otherwise that would have made for a less than excellent hike. In addition to having good hiking boots or hiking sneakers (I definitely caution against running shoes or worn down sneakers), you need to have socks that will keep your feet warm, dry, and blister free. People often forget about socks, and end up with blisters or cold, wet feet as a result. Most stores that carry outdoor gear will have a good selection of socks for winter hiking, so it should be pretty easy for you to find just the right type for your feet! 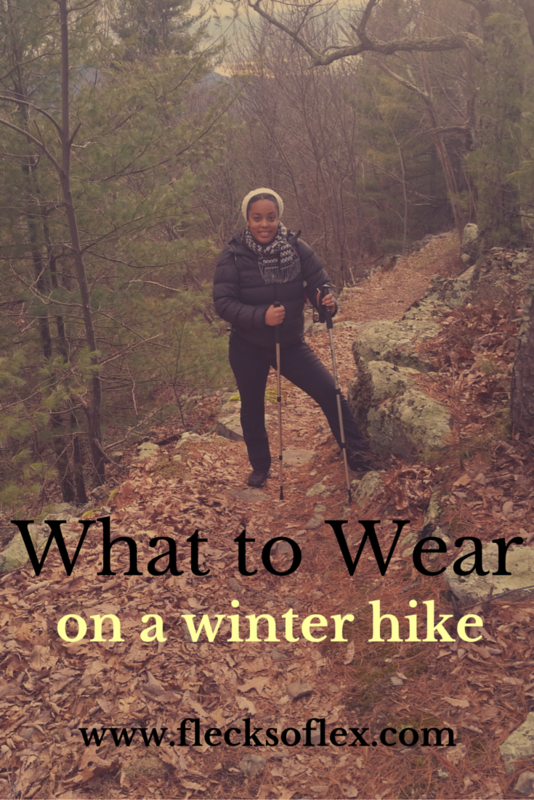 Dressing in layers is absolutely crucial to hiking in the winter. It was chilly when we finally arrived at the park, so I was all bundled up since I'm a weenie when it comes to the cold. Once we started moving, however, I could unravel myself a little bit since I was getting super hot in all of my cold gear and layers. You want to make sure that your base layer is one that keeps you warm and hugs your body. You also want to make sure that it is made of a moisture-wicking material. (Cotton is a big no no. Instead of wicking moisture away from your body, it absorbs it and may leave you wet and gross. ) I love the Under Armour ColdGear line, especially for bottoms. (I wrote a post eons ago about this.) My Under Armour Women's UA ColdGear® Compression Leggings are my go-to leggings for all things cold weather. 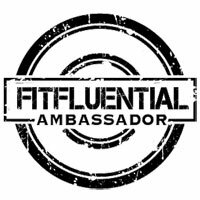 I wear them for running, shoveling snow, and hiking, to name a few activities. I also like the Nike Hyperwarm tops (like this one: Nike Women's Pro Hyperwarm Crew Long Sleeve Top ). They run small, though, so keep that in mind if you're planning to order any online. As I mentioned before, I'm a total weenie in the cold. I probably had three layers on when we went hiking, which was totally unnecessary. I did, however, make sure that the top layer was my most waterproof layer. I wore my down jacket, which is super warm and waterproof. I wore a fleece turtleneck as well, which kept my neck nice and warm. (Being a weenie, I also wore a fleece scarf, which made me super hot, and which I had to take off. Rookie move. ) I suggest wearing, at a minimum, a fleece jacket over your base layer. Fleece will keep you warm, and it's not a stiff material that would constrict your movement. Remember: You are exercising when you're hiking, and may need to do some scrambling, climbing, sliding - who knows? Regardless, you need to be able to get your move on! Back to the waterproof -- or even water resistant -- outer layer. 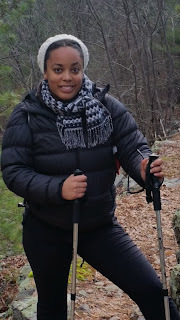 I got these really awesome hiking pants from Columbia (Columbia Women's Anytime Outdoor Bootcut Pant ) which have become my favorite pants for outdoor activities. I got them a size bigger than I needed because I'm a weirdo and wanted to be able to climb all kinds of stuff without splitting my pants (a recently-acquired fear of mine). 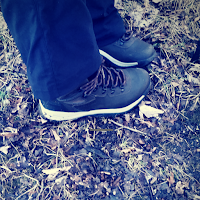 I had the chance to take them for a test run during a hike in Sagamore Hills, Ohio in early December (when the weather was still freakishly warm). The Cuyahoga Valley National Park is pretty sweet, but we definitely ran into a few thorny patches and slippery hills. Amazingly, my pants didn't rip when I walked right through the middle of a bush of thorns like a nincompoop. They also didn't rip when I less-than-gracefully tripped over nothing and slipped down a hill. I definitely recommend these pants for outdoor activities year round. 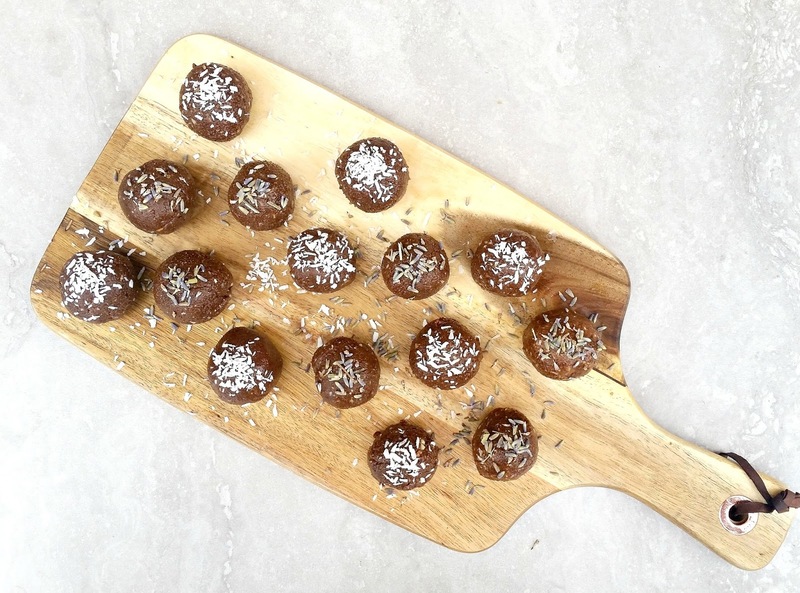 They're comfy, practical, and cute! Finally: Winter accessories. You really want to make sure that you have appropriate gloves and a hat, at the very least, for your winter hiking adventure. If you're carrying a backpack of any type with you (which you should be, because you'll need snacks and water at a bare minimum), you can store these items if you start to get too hot. That's the beauty of layers: You can take off or put back on items if you need to! I hope you find this helpful as you plan for your next winter hike. I love being outdoors. Just because it's cold outside, and you might be a winter weenie, doesn't mean that you can't get outdoors and enjoy all that Mother Nature has to offer! Happy hiking! Have you ever gone for a winter hike? Where's your favorite hiking destination? 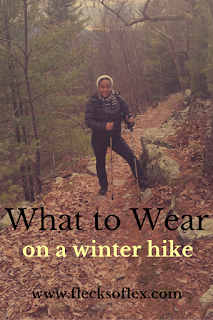 What are some of your favorite things to wear on your winter hike? 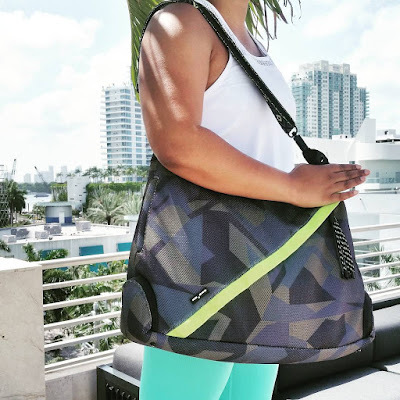 Do you have go-to clothing or accessories for outdoor activities? It sounds like you had a nice hiking trip! I've never hiked in the winter, but I probably should look into it for a change of scenery! Great recommendations, I hear UA gear is really good, and those hiking boots are cute! Better to have too many layers than not enough! P.S. No shame. I'm a total wimp when it comes to the cold too. ._.